Be spoilt for choice this holy month of Ramadan when the diners savor Renaissance Johor Bahru Hotel’s Café BLD sumptuous Mai Makan-Makan buffet spread which will run from 8th May to 3rd June 2019. The Café BLD’s ever-popular iftar buffet offers a delightful blend of traditional dishes served during the Ramadan season as well as Malaysian and international favorites from all over the world. 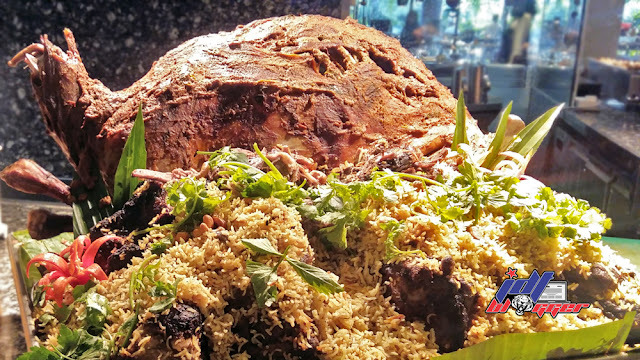 “For Mai Makan-makan, we have chef creation Malaysian kampung dishes such as Bubur Lambok, Nasi Briyani Arab, Ayam Percik, Ayam Golek, Rendang Daging, Gulai Kampung, Udang Goreng Rempah, Soto Ayam, Mee Rebus, Sup Ekor and Lemang. 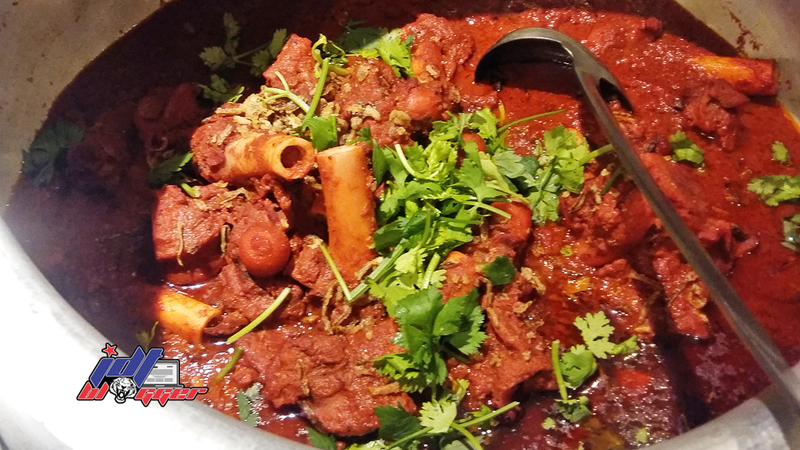 In addition to the usual selection, enjoy Café BLD’ new addition such as the spectacular “Sup Tulang Merah” where you will need to drink the bone marrow out of its bones, the humble but comfort food “Mee Kawah", next we have the simple yet healthy “Popiah Basah", plus special “Briyani Station” and finally, the pizza fiesta,” added Mohammad Mahady. While some of the popular items are fixtures, the rest of the menu is rotated on a daily basis so diners can sample different treats on each visit. The various starters ranging from refreshing green salad to the zesty Kerabu and assorted Ulam are a perfect beginning to a sumptuous spread. If the diners are a fan of Japanese cuisine, the sushi rolls, salmon and tuna in smoked and sashimi form are available at a special counter and will certainly whet the diner’s appetite. The crowd favorite is always the seafood-on-ice section which offers mouth-watering morsels like tiger prawns, green mussels and oysters. For desserts, diners will definitely be spoilt for choice with the medley of delectable items ranging from Western-style desserts to enduring local kuih. 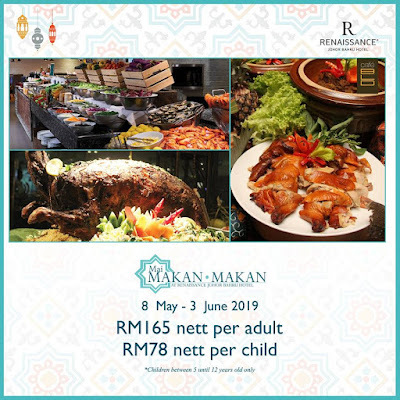 Mai Makan-Makan dinner buffet is priced at RM165 nett per person and RM78 nett for children aged 5 to 12 while children below 5 years old get to dine complimentarily. 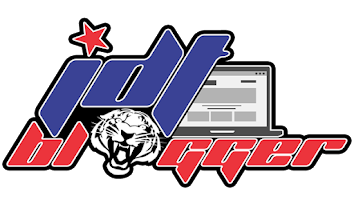 Early bird promotion voucher also on sale, purchase from NOW to 8th May 2019.